Ok welcome to lesson 2. In this lesson you will learn how work with like terms. The key difference between middle and high school math is high school math requires students to understand variable expressions- i.e. basic algebra. 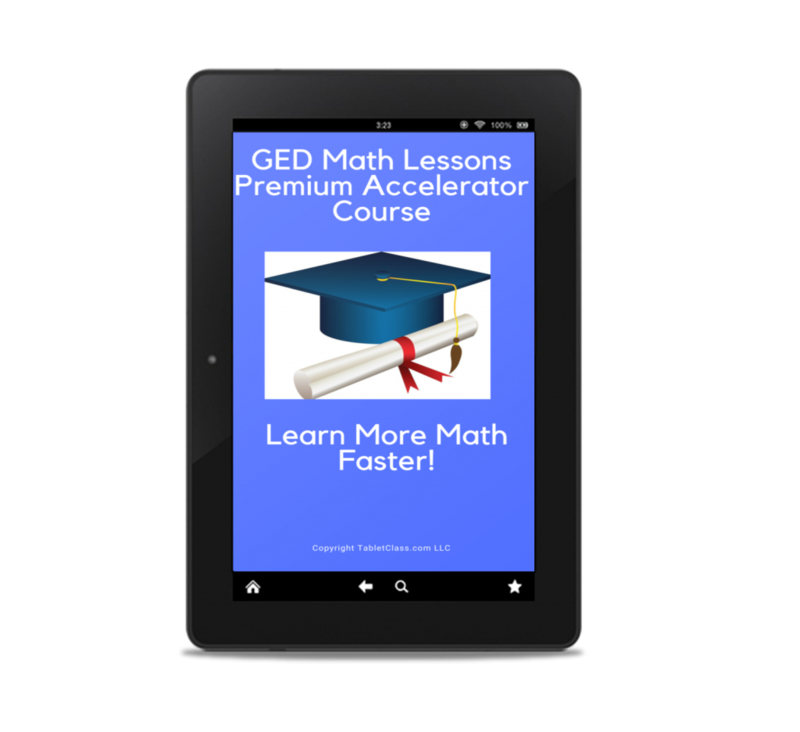 Of course you should expect basic algebra on the GED and knowing how to work with variables is critical. 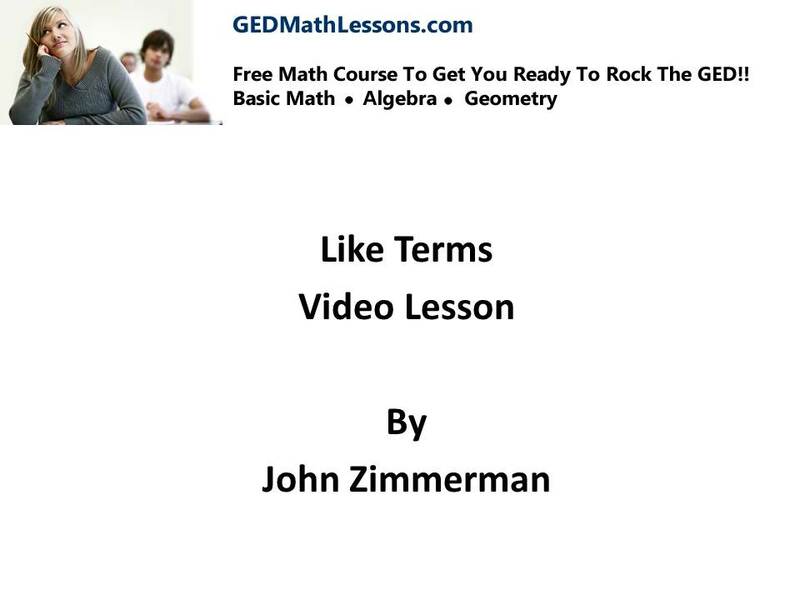 The starting point to mastering algebra is understanding how to work with variable terms and determining when terms are like and not like. Ok we are ready to start the chapter on equations. 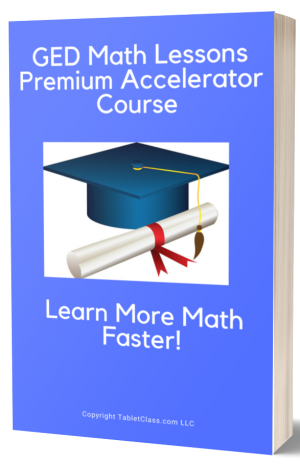 The topic of equations could very well be one of the most important chapters of the course so really pay attention- you will need this for the GED!